The concept of life insurance is not a new one. However, the purposes it fulfills go a lot beyond providing financial security upon the death of the breadwinner of the family. In addition to securing a person’s future, life insurance also offers various other benefits too. These days, life insurance plans have evolved into an investment tool along with the benefit of protection and savings, catering to various risk appetites. 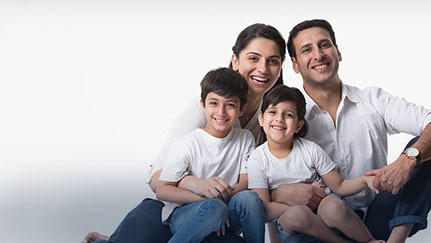 These benefits can be availed of through the various types of life insurance covers that are available today. Protection: The most basic kind of life insurance plan that one could opt for is a protection plan, also known as a term plan. The main purpose of this type of a plan is purely that of providing life cover. In a term plan, the insured does not get any benefit if he/she survives the policy term, but is beneficial to secure the family’s financial future in case of premature death. This type of life cover is also usually the cheapest kind of life insurance. Investment: The next available option in life insurance is an investment plan. For people who are open to taking risks, unit-linked insurance policies (Ulips) are a good choice to go with. These are market linked plans that give customers the opportunity to participate in capital markets. Ulips are a flexible option, and allow the customer to choose the type of fund that they would like to invest in as per their risk appetite. Ulips also come with a death benefit and maturity value, thereby, helping you build a corpus and providing security in case of a premature death. Savings: In case of situations where the prime purpose is that of saving and the risk appetite is low, endowment plans and money back plans are the best possible options. These plans help you to systematically save for financial goals such as your children’s education, their marriage, a long desired holiday to name a few. These plans are relatively safer comparison with Ulips as they invest in secured assets. At the same time, they also offer some guaranteed benefits, further securing the corpus. Retirement: Also known as pension plans, this type of life insurance policy allows you to build a substantial corpus over the years. Such a plan will enable you to live the same lifestyle, upon retirement, that a regular income would. In order to build the corpus in retirement plans, an individual can invest regular amounts during their working years, and contribute towards the retirement plan. In this type of a plan, upon the vesting date, out of the corpus, one needs to buy an immediate annuity plan which starts pension immediately, as per selected options. Offer your family a secured future! Click here to learn more about our Life Insurance Plans!